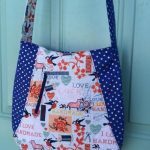 In this post, you will find unique tote bag patterns and tutorial. So far, the new year has been going quite good and productive for me thanks to NO MORE STUDIES. This is the first week and I have stuck to the goal of publishing two blog posts a week no matter what. I have also finished filming the Seema Crossbody modified version which I shared with you girls here. Based on the huge amount of love that bag received, I can tell you girls will be SUPER excited to learn how to sew a bag like that. 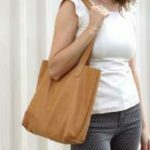 Like I mentioned earlier, I will be sharing lots of helpful info and bag sewing patterns this year to really make this place your no.1 go-to site for anything and everything bag making so sticking to my goal, today I’m sharing a list of super awesome and unique tote bag sewing patterns that you might not see around very commonly but they are quite classy and make really sturdy and beautiful bags. 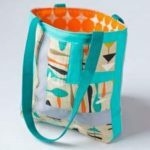 This is a sewing pattern for a VERY simple and straightforward tote that ANY beginner bag maker can make. 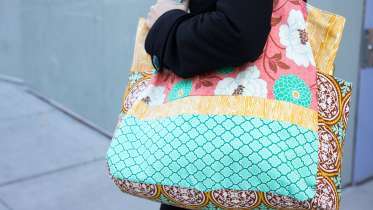 If you can sew a zipper pouch, you can DEFINITELY sew this bag, trust me. 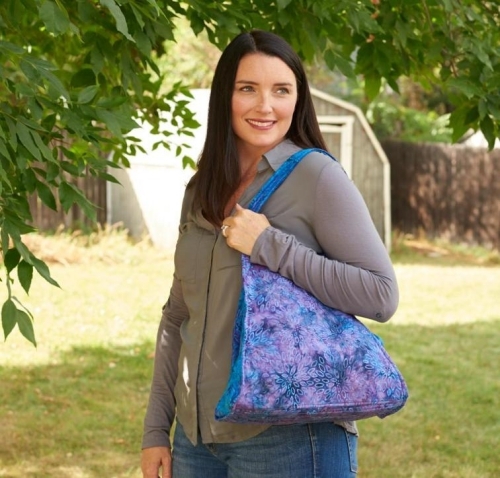 Making a tote out of this pattern will help you in immediately boosting your bag making confidence because this fabric tote pattern is so simple and quick to sew and guaranteed to give perfect results. Finished size of the large tote bag is 18″ wide 13″ tall and 4.75″ deep. 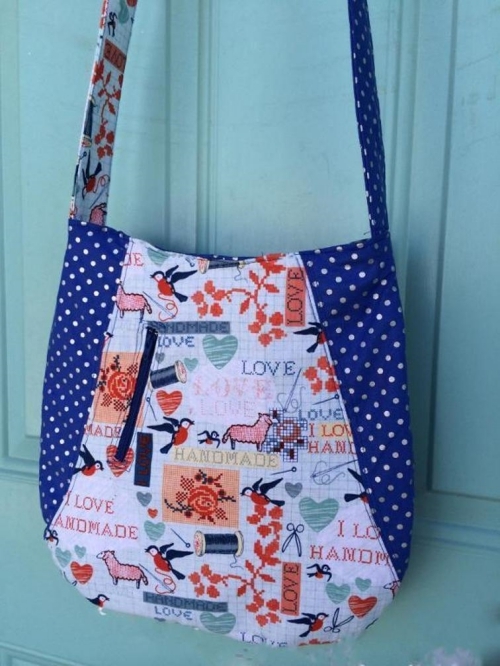 Click the button below to find out more details about this tote bag sewing pattern. This bag can carry almost everything you need for the day. It has spacious side gussets, inside pockets for organizing and storing all your essentials. It has a strap that will enable you to carry the bag anywhere you go by simply hanging it on your shoulder. 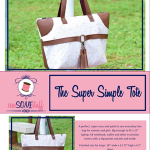 It is a perfect accessory for going shopping, can be used as a college bag or just for carrying your grocery. 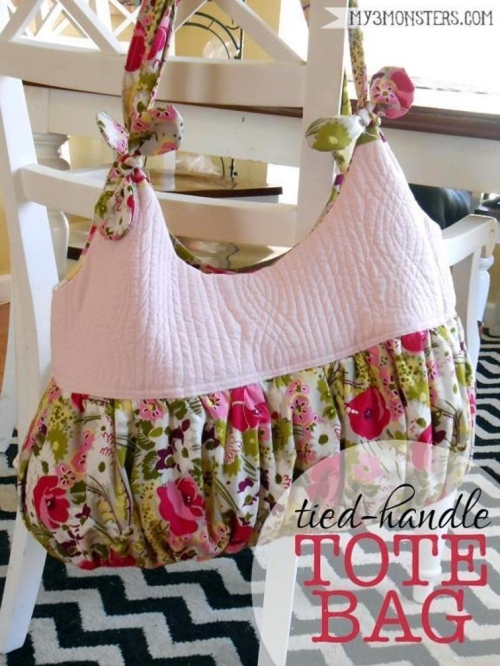 The best part about this tote pattern is that it’s available as a kit. So, you wouldn’t have to buy everything separately. 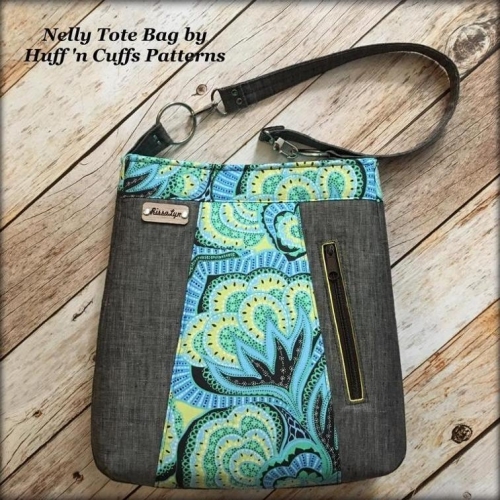 Click the button below to find out more about this tote bag pattern. In this class, Joel and Laurie will guide you to make a beautiful and sturdy farmer’s market tote bag. 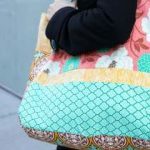 Laurie walks you through the steps for constructing the bag from the inside out and covers details like adding fusible interfacing and making pockets. 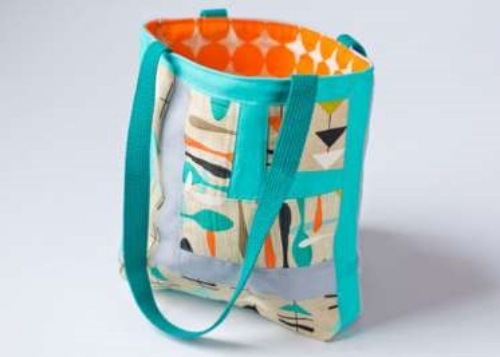 You will also learn how to add the bottom of the bag and hand-sew the opening closed with a slip stitch. A little decorative topstitching gives the finished bag a polished look. This is a perfect bag for shopping as well as carrying library books. 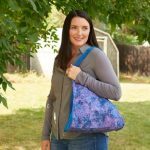 This bag pattern also comes with a step-by-step video tutorial which makes it great if you’re a beginner sewist. Click the button below for more details about this bag. This is a large and spacious tote bag with a lot of pockets for carrying all the items you might need for a perfect day out. It features a zippered exterior pocket, an optional hidden pocket, and two slip pockets; exactly what you need for carrying all your essential stuff. It comes with a removable strap. This means that you can carry it as a clutch bag or swing the strap over your shoulder. This is a stylish tote bag for everyday use. It comes with a zipper top for enhanced security of your valuables. It has two inside slip pockets, an outside zipper pocket for storing all your items. It features a flat base and nicely made handles with rectangle rings and tabs. 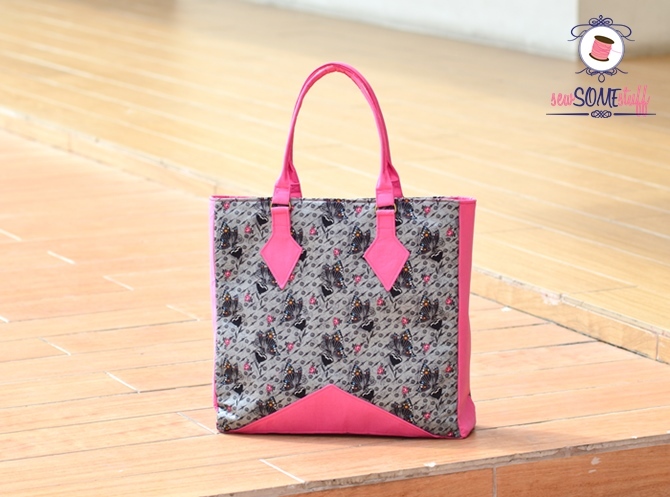 This tote bag is fully lined and a perfect carry-all accessory for today’s busy woman on-the-go. It has plenty of room inside ideal for carrying your items to the park for a picnic, to the library, to the beach, pool or even for a simple shopping experience and it will make you look stylish and trendy. 18 inches wide x 12 inches deep. 28″straps. This tote bag can be used as your every bag. You can carry it almost to any occasion and still look stylish. It is spacious enough to carry all your small items. You can carry this bag to college, to the beach, to the park. It features a zipped outer pocket and a huge interior pocket for carrying all your valuables. With the beautiful strap, you can comfortably carry this bag anywhere. 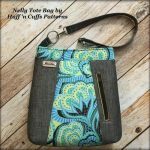 This is a perfect carry-on bag and a great tote pattern with lots of quilting and sewing ideas. It features a zip-top panel that easily opens and drops down inside. It has one zipped inside pocket for safe storage of your small items and one outside pocket as well. It has two divided outside pockets and straps that run all the way down for enhanced strength. 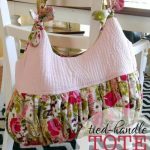 In this video tutorial, you will learn how to use log cabin quilting techniques to sew a very stylish and modern log cabin quilt tote bag. 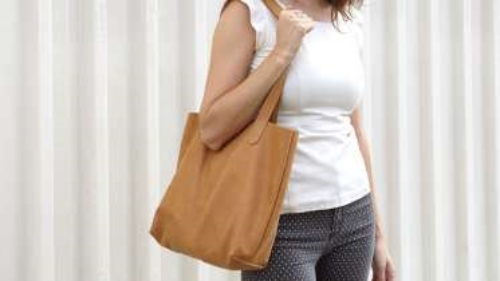 Learn to sew a classic and swoon-worthy leather tote even if you feel intimidated by leather. No special skills or fancy tools are needed. You will learn tips and tricks for picking a gorgeous piece of leather and sewing with it successfully. 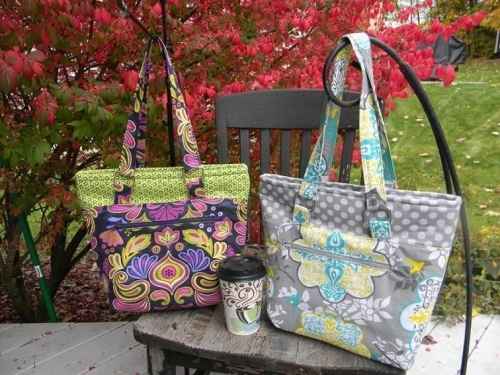 At the end of the class, you will have a sturdy, heirloom-worthy bag that you will want to use for years. 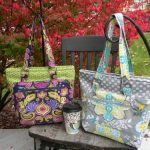 Want to learn to sew bags for FREE? Sign for the FREE online course by entering your name and email below. 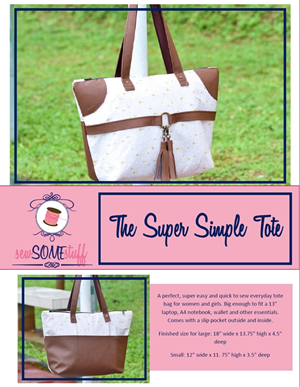 I will walk you step-by-step to sew this super gorgeous tote and you will receive a FREE tote sewing pattern as well.